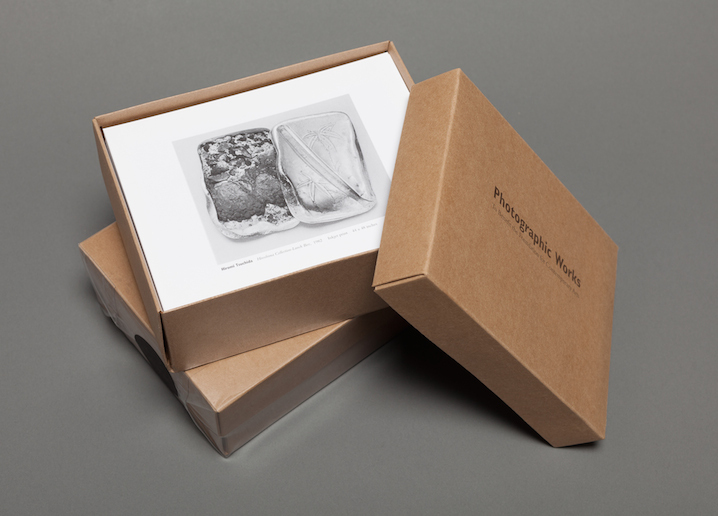 A limited-edition box of 5 x 7 inch black-and-white cards featuring works of over 200 artists. Printed by Universal Limited Art Editions in 2008, each card is printed with a photograph from the 2008 benefit exhibition of the same title. The exhibition, organized by Gregory Crewdson, Nan Goldin, Annie Leibovitz and Laurie Simmons, featured works by Matthew Barney, Andy Warhol, Cy Twombly, Catherine Opie and over 200 other established and emerging artists. Sales of the Photographic Works catalog benefit the Foundation's programs. $35, includes shipping in continental US. To purchase the catalog or to inquire about wholesale prices please call 212-807-7077 or email info@contemporary-arts.org. A fully illustrated, 56-page catalogue featuring the forty-three works contributed by thirty-nine artists. The catalogue includes a commissioned essay about FCA co-founder John Cage by noted novelist and essayist Jim Lewis. The publication was designed by Joseph Logan and edited by Eric Banks, both of whom collaborated with FCA on the publication of the scholarly book Artists for Artists: Fifty Years of the Foundation for Contemporary Arts on the occasion of the Foundation's 50th Anniversary in 2013. The publication of the exhibition catalogue was generously underwritten by Marie-Josée and Henry Kravis. Not available for sale; full publication may be viewed below.